For four days, the Curator’s Gallery, CSMVS, shows new work by Howard Hodgkin, in the exhibition Made in Mumbai, 2016. Join us anytime, from the 20th to the 24th of February, in a celebration of Howard Hodgkin’s deep connection with Mumbai and the warm response of people, to his work reflecting the light and life of the city. 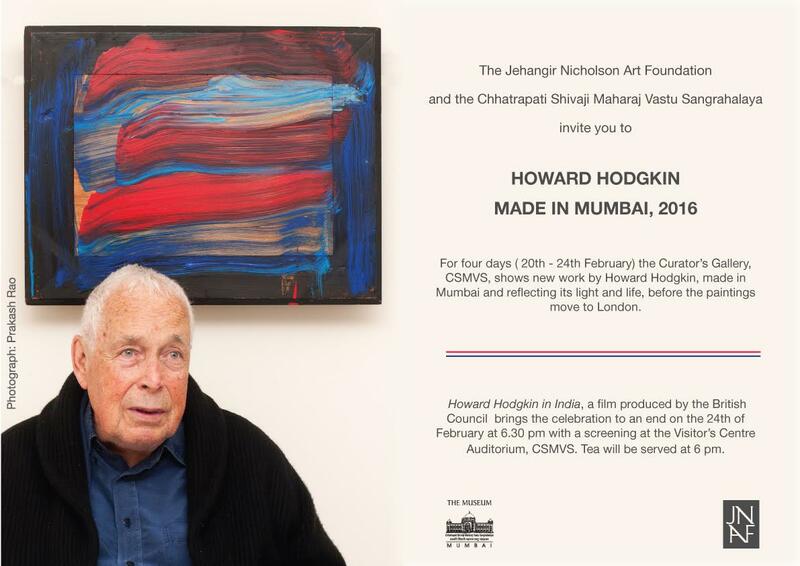 The film Howard Hodgkin in India, produced by the British Council brings the celebration to an end on the 24th of February at 6.30 pm with a screening at the Visitor’s Centre Auditorium, CSMVS. Tea will be served at 6pm. We would also like to invite you to an evening with the artist Sakti Burman, who will be in conversation with cultural theorist Ranjit Hoskote on the 22nd of February 2016. 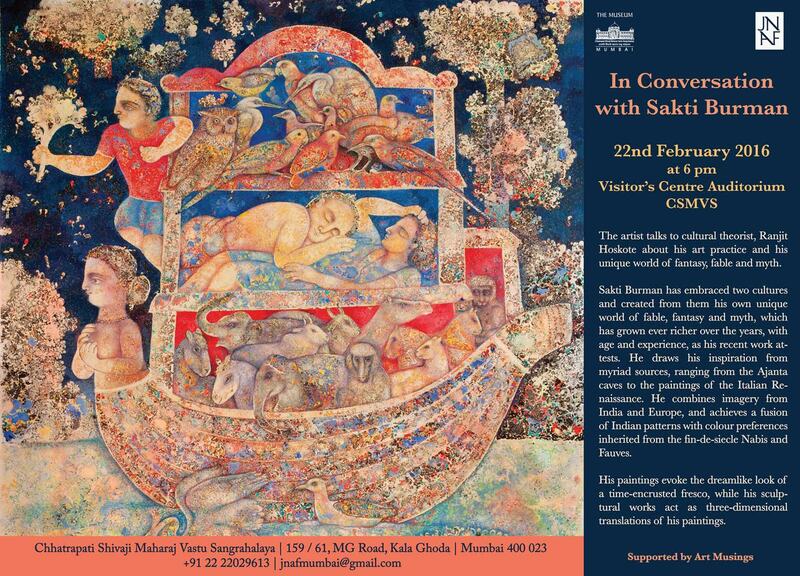 Sakti Burman who is in the city for a solo exhibition of his works, draws his inspiration from several sources, ranging from the Ajanta caves to the paintings of the Italian Renaissance. The evening promises us insights into an artist who has embraced two cultures and created from them, his own unique world of fable, fantasy and myth. Do join us on for tea at 6pm at the Visitor’s Centre, CSMVS on the 22nd of February. The talk will begin at 6.30pm.